Wolverine’s past just keeps getting more complicated. Marvel Comics Presents made its big return to the comic book stands this week, and the first issue has added dramatic new details to the histories of two major heroes. 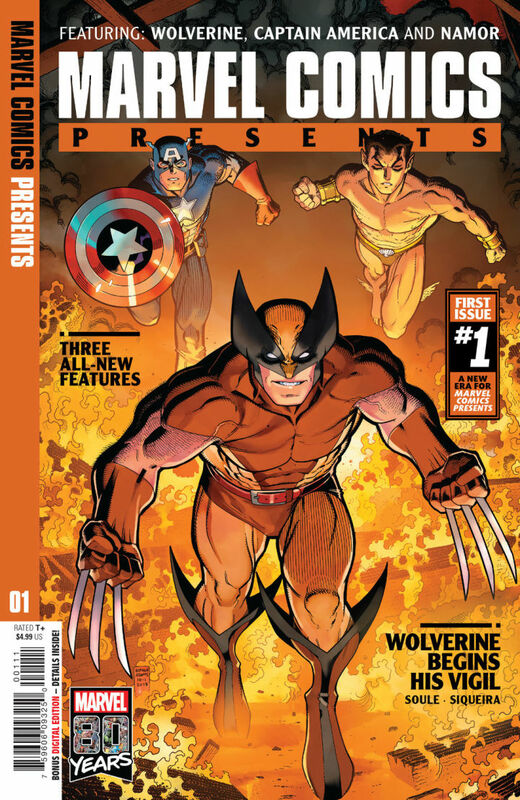 Warning: this article contains spoilers for Marvel Comics Presents #1! Following the example of the original Marvel Comics Presents from the ’90s, this new series features a serialized Wolverine story called “The Vigil” that aims to reveals new details about the mutant hero’s life throughout the decades. This chapter unfolds during the heart of World War II, as Logan teams up with Dum Dum Dugan to rescue a French woman and her daughter from the Nazis. As it turns out, these Nazis want the woman, Marie, to use her magical abilities to summon a demon and provide Hitler with a new weapon in which to end the war. The demon makes quick work of the Nazis, but Logan is forced to intervene before Marie and her daughter are killed next. But in doing so, Logan binds himself and his fate to Marie’s family forever. As Marie banishes the demon and draws her final breaths, she tells Logan that the demon’s name is Truth, and that it’s fated to return a decade in the future. Only Logan can protect Marie’s daughter while she finishes what her mother started. It appears that this conflict with the demon Truth will form the backbone of “The Vigil.” Each new chapter will jump forward a decade in time, as Logan continues to face the ramifications of this battle and the curse he’s become entwined with. 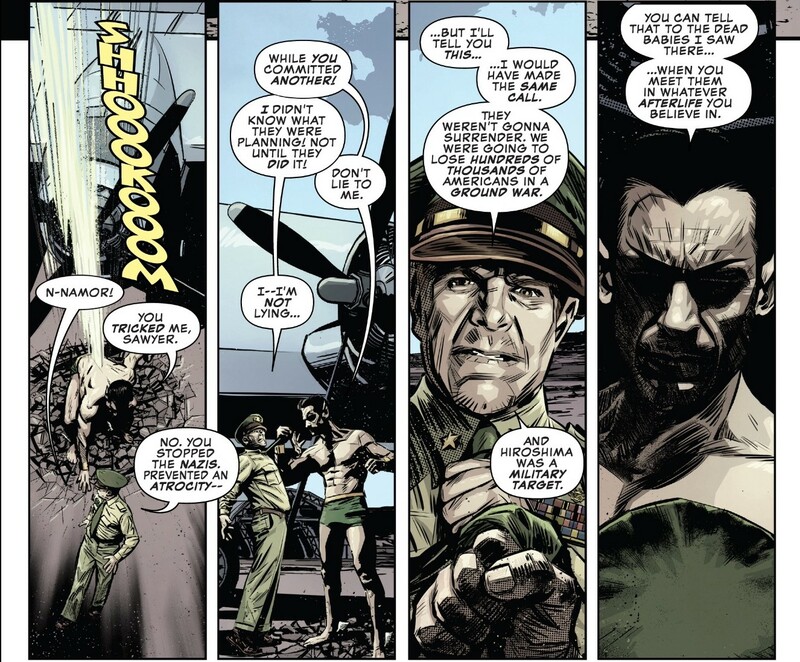 Marvel Comics Presents #1 has an even bigger revelation to make about Namor’s past during WWII. 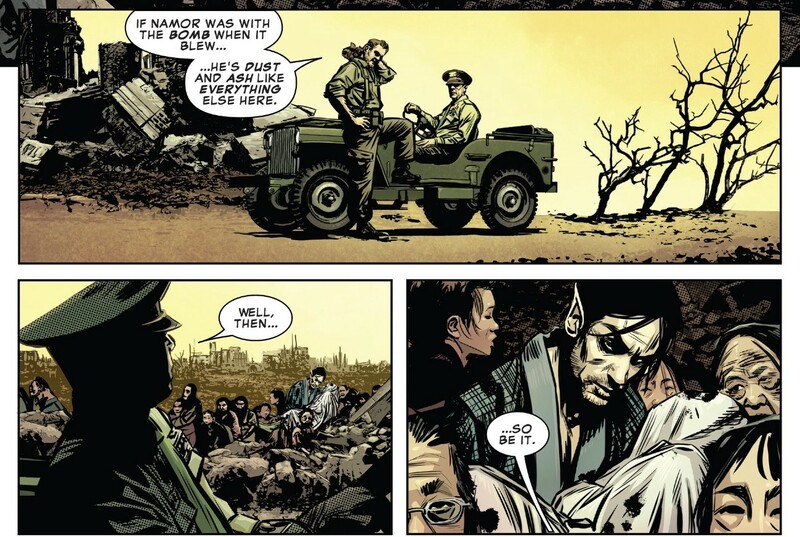 Namor’s story unfolds in the waning days of the war. Namor is dispatched to South America to hunt down a rogue Nazi scientist. Only after returning does he realize he was tricked by his handler, Sawyer, who wanted to ensure that Namor wouldn’t be around to stop the Allies from dropping the atomic bomb on Hiroshima. Namor realizes too late that a second bomb is being readied for deployment. He flies to Nagasaki but finds himself caught in the blast. Weeks later, as the US military is surveying the damage, Namor is believed to have been killed alongside thousands of Japanese civilians. But instead, readers learn that Namor lived and is hiding out among the other survivors of the bomb. This story actually answers a long-running mystery in the Marvel Universe. It’s long been established that at some point following his WWII-era exploits with the Invaders, Namor spent many years suffering from amnesia and wandering the globe before resurfacing with a newfound hatred of the surface world. Now we know the full story behind those missing years of his life. 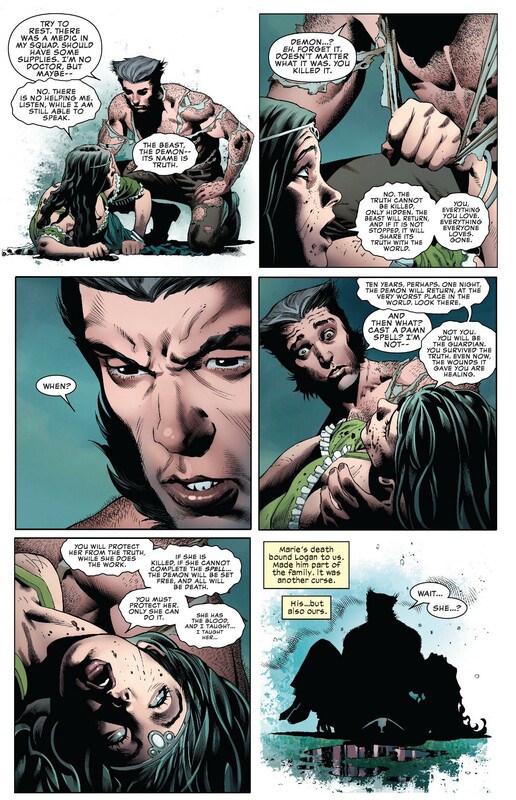 Let us know in the comments below what you think of these new details in Wolverine and Namor’s lives.